When you are looking for uPVC double glazing in Edinburgh, get in touch with the team here at Celsius Windows. We would be delighted to speak to you today and to tell you more about our premium quality windows and doors and to give you a cost effective quote to consider at your leisure. Over the years we have fitted many homes and businesses with our windows and doors so let us know if this is something you are considering for your property. There are so many benefits to choosing uPVC windows and doors. Firstly, they look great and offer much better warmth and insulation than single glazed windows. They are also great for keeping noise out of your home, especially good if you live in the centre of the city. Why not speak to us today to find out more about our uPVC? 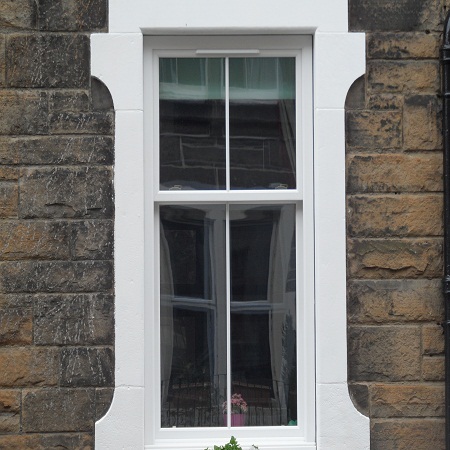 If you are looking for the best uPVC double glazing in Edinburgh, we would be very happy to tell you more. Our expert glazing team has been fitting windows and doors across the city and beyond for years and we can give you a quote today to consider at your leisure. We think you will be delighted with the price we give you and our range of uPVC solutions. Our team offers the best in customer service and we also offer a guarantee with all of our windows and doors. In the unlikely event of a problem, you can be sure that our team will be on hand to assist. If uPVC is something you are considering for your home, give us a call. Fitting double glazing to your home can be one of the most sensible investments you make and we would be delighted to tell you more today. We can arrange a free survey, take measurements, show you our range of doors and windows and leave you with a cost effective quote to consider at your leisure.